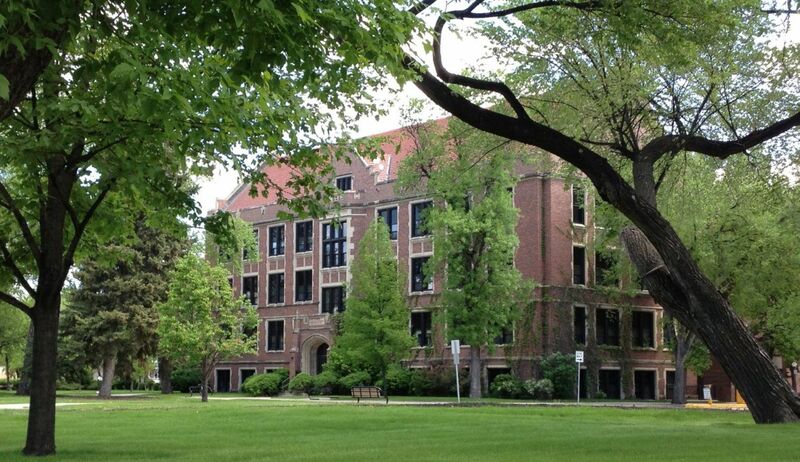 Founded in 1883, the University of North Dakota is the flagship university of the state. 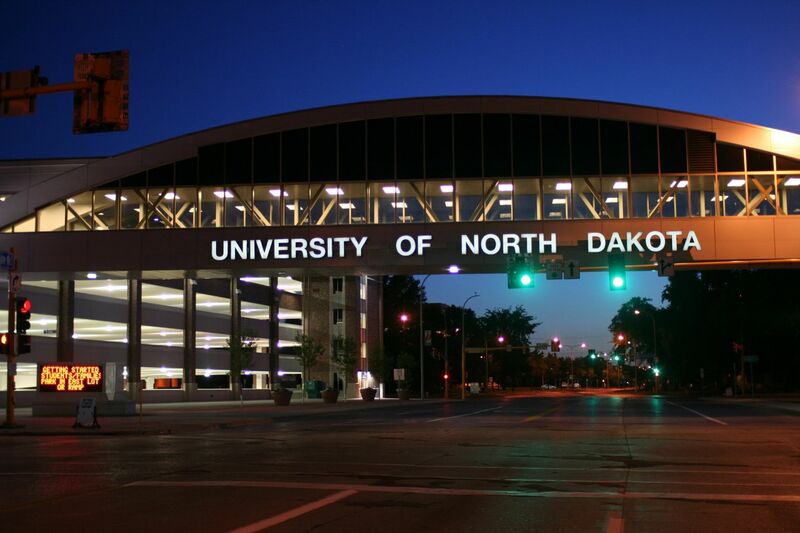 It is also known as UND or North Dakota) and is a public research university in Grand Forks, North Dakota. The University of North Dakota, as a member of the North Dakota University System, serves the state, the country, and the world community through teaching, research, creative activities, and service. 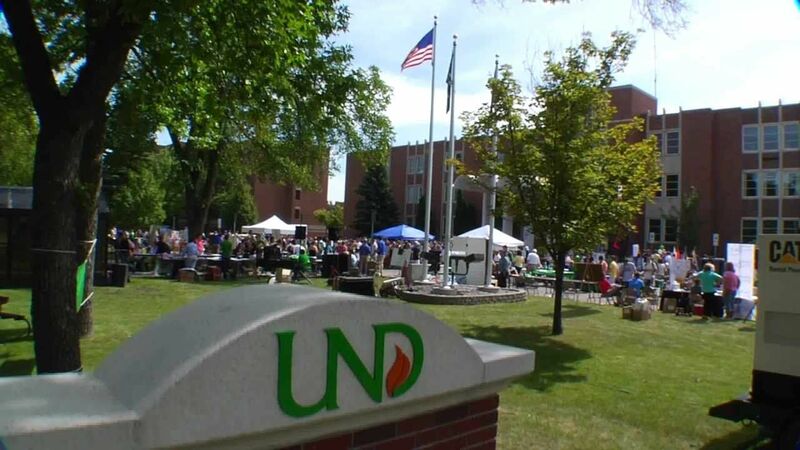 University of North Dakota offers undergraduate majors and minors, graduate, law and medical degrees, online courses, as well as a number of certificate and other educational opportunities. The student-faculty ratio at University of North Dakota is 21:1, and the school has 37.8 percent of its classes with fewer than 20 students. The total student population is over 14000. The most popular majors at University of North Dakota include: Psychology, General; Registered Nursing/Registered Nurse; Airline/Commercial/Professional Pilot and Flight Crew; Accounting; and Mechanical Engineering which is offered in the following Schools & Colleges (Aerospace, Arts & Sciences, Business and Public Administration, Education & Human Development, Engineering & Mines, Graduate Studies, Law, Medicine and Health Sciences, Nursing & Professional Disciplines).With a high emphasis on health-related fields, UND produces about two-thirds of the physicians in the state. The University of Dakota offers 88% Financial Aid to students for making it to the University. The process of applying for and receiving financial aid is pretty straightforward. Diversity & Inclusion supports the University’s efforts to create a safe and welcoming campus climate. The University values the richness of our different cultures, heritages, perspectives, and ideas each person brings to our camps community. International Center bridges between cultures and countries by supporting international education, facilitating education abroad opportunities, support UND’s internal population, and promoting cultural awareness. UND was founded with a strong liberal arts foundation, but has grown into a prominent scientific research university. It is classified by the Carnegie Foundation as having high research activity, and is considered one of the top academic and research institutions in the northern Midwest. The academic mission is to prepare and support students through a community of diverse learners in their development as scholar-practitioners, who seek positions in postsecondary educational organizations or governmental agencies. The B.A. program offers more flexibility with fewer requirements relating to science and mathematics, but with additional requirements for courses in the humanities. This degree program is recommended for students pursuing a broader-based liberal arts education. The purposes of the M.P.A. program are to prepare students for positions in the public service, non-profit, and health sectors and to increase the skills of persons already in those areas. The annual cost of living at the University of North Dakota is $10,000 approx.